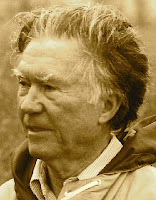 A Year of Being Here: William Stafford: "Cutting Loose"
"Cutting Loose" by William Stafford. Originally published as a broadside by Palaemon, 1983. Presented here as published in Dancing with Joy: 99 Poems, edited by Roger Housden. © Random House, 2009. 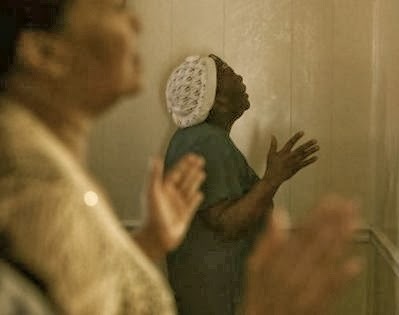 Photography credit: Detail from "Remembering Haiti Earthquake," by Pat Greenhouse/Boston Globe staff (originally color). On a foggy morning, wondering whether I'm unemployed or retired or I'm just taking a long break. Thanks Bill. I'll listen for that sound.